As the biggest merger in the history of the hospitality industry, the Marriott-Starwood merger, is grabbing headlines worldwide. Most of the recent press has focused on the sheer size of the potential transaction. But in his article below, my partner and hotel lawyer Bob Braun, considers the practical impact of the merger on hotel owners, franchisees and developers. With the loss of the Starwood family of brands as an independent and significant competitive force in the industry, the merger will bring mixed blessings to stakeholders. The Marriott-Starwood merger – Is bigger really better? The proposed merger between Marriott and Starwood will, by all accounts, create a behemoth in the hotel industry. If the merger goes through as planned, the combined company will be the world’s largest hotel company, with more than 5,500 hotels under management or franchise, 1.1 million hotel rooms around the world, 30 hotel brands and up to 75 million hotel loyalty members. Will Owners Have Fewer Choices? The first, and most obvious, impact on any potential owner is that the field has been reduced by a significant player. Thirty brands (31, if we include the new Grand Sheraton brand) may remain, but in fact they will be operated by a single entity, and that entity will decide on what brands will be available in a given market. Moreover, the differences between particular brands in a given price or quality segment are likely to be reduced. How long, for example, will Sheraton or Le Meridien hotels be markedly different from Marriott or Renaissance properties? Where will they be positioned relative to other brands in the new combined family? Any hotel owner, franchisee or investor should also recognize that the Marriott-Starwood merger might only be the first of its kind. Many analysts predict that other brands will merge to create the size and influence that will allow them better to compete with the largest hotel branding company in the world. If that happens – and transactions like this seem to occur in bunches – owners will have even fewer choices. Will Owners Have Reduced Leverage? The immediate corollary to fewer choices is reduced leverage. A hotel owner will no longer be able to create a competition between two of the largest players in the business; Marriott/Starwood is unlikely to bid against itself for management or franchise opportunities. This challenge is likely to extend beyond just the merger of Marriott and Starwood. Other major brands – Intercontinental Hotel Group, Hilton Hotels, Hyatt Hotels to name a few – will have greater bargaining power when negotiating with owners because there will simply be fewer competing companies. Will Hotel Companies be Less Flexible? A common concern among hotel owners is the desire for their brands to acknowledge the unique qualities of each property. While some franchised or branded businesses can achieve a high degree of uniformity, hotels are special, and hotel owners need brands to recognize that. As much as brands strive to create a consistent experience at all properties operating under the same name, local differences – whether it be location, common amenities, zoning, legal restrictions, competition or otherwise – have to be addressed. But larger companies have greater reasons to increase efficiency and reduce variations between different properties, and hotel owners may have difficulty ensuring that local needs are met. Will New Players Step Into the Breach? At the same time, it may be possible for new, smaller and more nimble brands to make inroads in this market. If there is less differentiation between different flags, if the larger players are less flexible, the smaller players may find inroads and opportunities that are closed to them now. It’s even possible that Marriott-Starwood may choose to shed some brands, for antitrust or business reasons, giving rise to new competition. The JMBM Global Hospitality Group® believes that hotel owners should be mindful of these concerns when considering their branding opportunities, and when negotiating with brands. Our practice focuses on leveling the playing field between brands and owners, and creating a lasting, functional relationship between them. While this merger may lead to a new set of rules for the road, we are ready to help our clients understand the new realities navigate the new landscape. We also believe that the merger will create significant “chafing” between owners and Marriott-Starwood, particularly as the new Marriott master imposes its imprimatur on the Starwood brands. The Marriott cluster marketing system may become an open sore of contention. Competition with hotels that were formerly part of a different reservation system may become problematic. And other issues are likely to arise for both Marriott and Starwood hotel owners, franchisees and investors. JMBM’s Global Hospitality Group® focuses on representing these interests with respect to the brands and we pride ourselves on good business resolutions wherever possible. 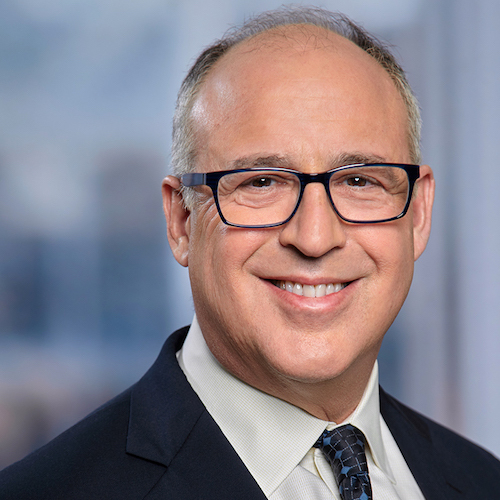 Bob also advises clients on condo hotel securities issues and many transactional matters, including entity formation, financing, and joint ventures, and works with companies on their data technology, privacy and security matters. These include software licensing, cloud computing, e-commerce, data processing and outsourcing agreements for the hospitality industry. Contact Bob Braun at 310.785.5331 or rbraun@jmbm.com.